with a San Diego beach scene drawn with an eight color palette of bacterial colonies expressing fluorescent proteins derived from GFP and the red-fluorescent coral protein dsRed. On May 31, 1852, German microbiologist Julius Richard Petri was born. 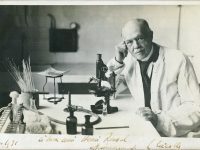 Petri is generally credited with inventing the device known as the Petri dish after him, while working as assistant to bacteriologist Robert Koch. Julius Richard Petri studied medicine at the Kaiser Wilhelm Academy for Military Physicians from 1871-1875 and worked for a short time as a military doctor. 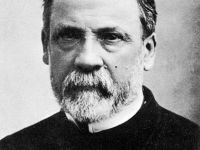 He completed his doctorate as a physician at the Charité in Berlin, which he obtained in 1876. 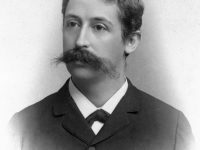 Further, Petri had active duty as a military physician until 1882, continuing then as a reservist. From 1882 to 1885 he worked in Görbersdorf as the assistant of Hermann Brehmer at his sanatorium for lung patients before he went to Robert Koch’s bacteriological institute in 1886. There, he became an assistant to Robert Koch. On the suggestion of Angelina Hesse, the New York-born wife of another assistant, Walther Hesse, the Koch laboratory began to culture bacteria on agar plates. In that context, Julius Richard Petri invented the standard culture dish, or Petri plate. He then further developed the technique of agar culture to purify or clone bacterial colonies derived from single cells. This advance made it possible to identify rigorously the bacteria responsible for diseases. Robert Koch grew bacteria on gelatin and also on agar, a gelatinous substance made by boiling a marine algae. These culture media were poured onto shallow plates and allowed to solidify before bacterial samples were placed on the surface to grow. But these dishes lacked lids, so the bacterial cultures often became contaminated. As most of you will know, Petri dishes are commonly used to make plates that are used for microbiological studies. The dish is partially filled with warm liquid containing agar, and a mixture of specific ingredients that may include nutrients, blood, salts, carbohydrates, dyes, indicators, amino acids and antibiotics. After the agar cools and solidifies, the dish is ready to receive a microbe-laden sample in a process known as inoculation or ‘plating.’ For virus or phage cultures, a two-step inoculation is needed: bacteria are grown first to provide hosts for the viral inoculum. Often, the bacterial sample is diluted on the plate by a process called “streaking”: a sterile plastic stick, or a wire loop which has been sterilized by heating is used to take the first sample, and make a streak on the agar dish. Then a fresh stick, or a newly sterilized loop, passes through that initial streak, and spreads the plated bacteria onto the dish. This is repeated a third, and sometimes a fourth time, resulting in individual bacterial cells that are isolated on the plate, which then divide and grow into single “clonal” bacterial colonies. 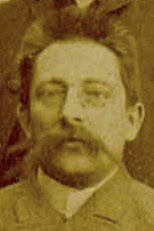 In 1889 Petri became a member of the government at the Imperial Health Office and head of a bacteriological laboratory. 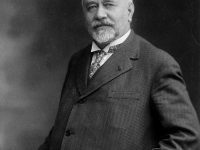 In 1900 he retired early with the title of a secret government councillor and took over the management of Brehmer’s sanatorium in Görbersdorf for three years.